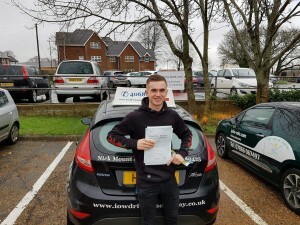 1st Time Test pass with Antony Woodward. CONGRATULATIONS to Antony on passing his driving test today, Weds 24th January 2018 at his first attempt with only 3 driver faults. Well Done, great drive today in terrible weather. Enjoy your driving and be safe. This is another great 1st time pass with the IOWDA. We had an amazing 73% 1st time pass rate for 2017 which is well above the National average of 45%. Here at the I.O.W Driving Academy, we pride ourselves on the quality of driver tuition given by our fully qualified DVSA Driving Instructors. We also specialise in Intensive driving courses which will help you gain your licence in weeks not months. 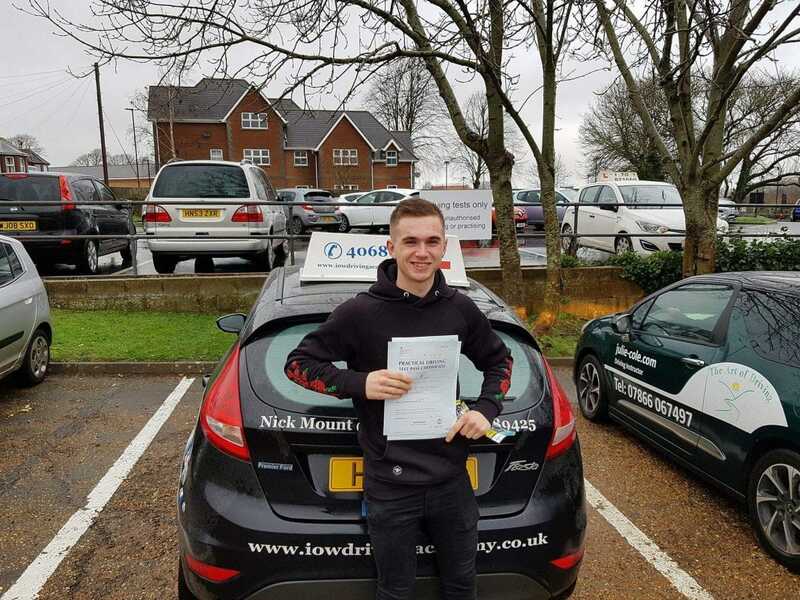 We recently had a test pass with a pupil in just 16 days. This is just one of many success stories from our Driving Academy. We may not be the largest driving school here on the Island but we are certainly one of the best. We only have the best Instructors providing very high quality tuition. All of our Instructors are safety checked and continue to follow the Governments code of practice. For more information call us for a friendly chat, or fill in the contact form.